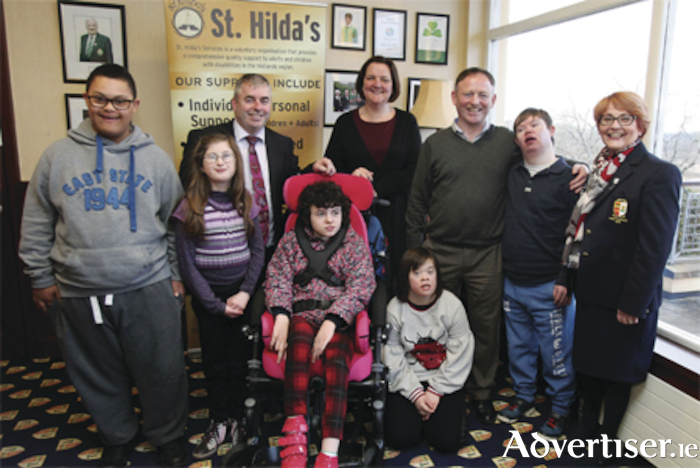 Athlone Golf Club will host Friends of St Hilda's Services Golf Classic on Friday, May 25, this year. The Golf Classic launched on Thursday, March 29, at Athlone Golf Club with Minister Kevin 'Boxer' Moran and Senator Gabrielle McFadden in attendance. This year the golf classic will assist St Hilda's current development programme, which involves the building of a new children’s respite house. The focus of all fundraising at St Hilda’s for 2018 is directed towards the new respite house. St Hilda’s is building a new bungalow specifically for this service at its site in Cornamagh. The project requires a further €200,000 to be completed. This has been part of St Hilda’s plan for the children in its care for a number of years. The dedicated team at St Hilda's want the children and families visiting respite services to have the very best house for their own use. They have been sharing existing locations for a number of years. Planning has been in place since July, 2017, and some groundworks have been completed. This ambitious project has received €9,000 from HSE lottery money and this is the only state money the project has received. The board of St Hilda's has made the decision to ask the people of Athlone and catchment area to support the build in order to get the project completed. “We are confident that we can get the house we need for children’s respite built through our fundraising, and the Golf Classic will be a part of this,” said Willie Brady, member of fundraising committee. Teams of four for the golf classic cost €200 (including meal ). St Hilda’s Services are seeking sponsors for tees and greens and are asking companies to consider supporting this worthy cause. Entry Forms are available at central office, St Hilda’s Services, Grace Park Rd, Athlone. Call (090 ) 6475825 or phone Willie Brady on (087 ) 2251115 for more information. Email [email protected].